Hi guys, and Happy Holidays! 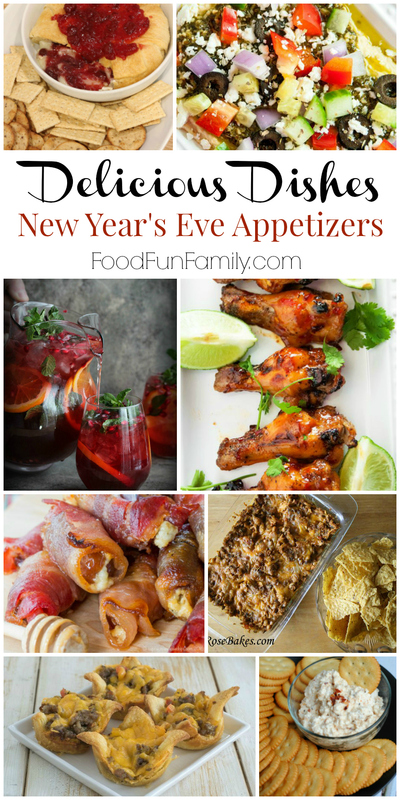 Because this week’s party landed smack dab in the middle of Christmas and New Years, we decided to take it a little easy this week and feature some of our host favorite New Year’s Eve-friendly appetizer dishes and skip the link up for this week only. If your week is anything like mine, you’ve got kids home from school for the week, home projects galore, and fun activities planned away from the house. So grab a recipe or two to make this weekend, then go enjoy some time with your family (that’s exactly what we’re doing!). Have a wonderfully happy and prosperous New Year! We’ll see you bright and early next Tuesday with the first Delicious Dishes link up of 2017! The best cheese log recipe! We’ll be back next week with our weekly linky party. See you in 2017! Just what I needed – some new recipe ideas! By the time New Years rolls around, I am tired of all the cooking, but I go to my sister’s house and she has a nice Party and I bring something, I am going to bring a appetizer this year! 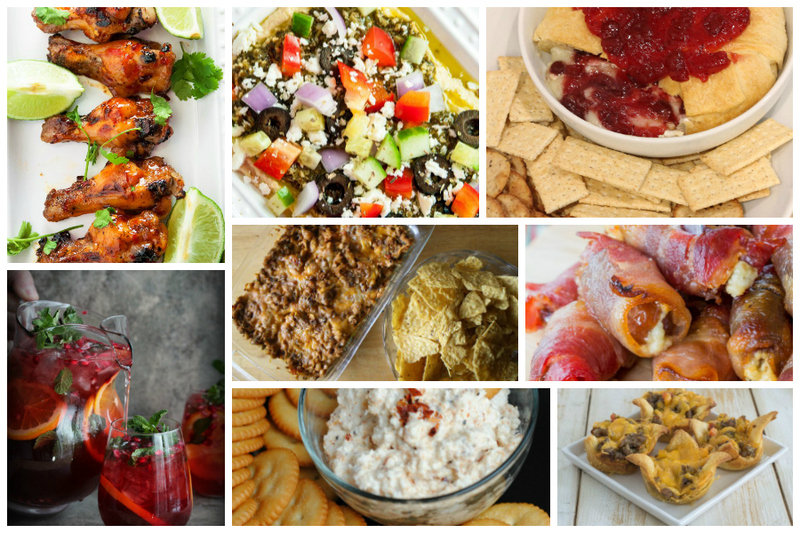 These are great recipes here!